What are dark circles under eyes? Get more insights on how to get rid of dark circles under eyes fast and quickly overnight. In this article, there is also more on ways to prevent, natural home remedies and the best treatment cream for the dark circles under eyes. Dark circles has become a common problem affecting both men, women and children. Dark circles under the eye is not necessarily an implication of a serious medical condition but can caused skin blemishes around the face due to complete darkening of the affected area. Dark circles is a condition of darkening of the area under the eyes due to various factors such as age, stress, fatigue and fluid imbalance that leads to the swelling and puffy eyes that darkens at the region ender the eyes. As said the condition is common in both men and women, although children can also get effected. Dark Circles under eyes is characterized by general darkening of the skin below the eyes. Other associated symptoms include fatigue, insomnia and puffy eyes. There are various ways on how to prevent and fix dark circles under eyes according to dermatologists and professional plastic surgeons. But before looking at that, it is very important to know the causes of this problem before focusing on treatment and ways on how to get rid of dark circles under eyes. What Causes Dark Circles Under Eyes – Causes of These Circles? Here are some of the main and common causes of dark under eye circles. Age: This is among the major causes. When people age, there is also a corresponding change in the skin structure. Ageing makes the skin to lost collagen fiber and becomes thinner. This makes the skin underlying tissues like blood vessels to be move closer to the surface hence appearing darker. Stress and fatigue: Daily activities such as working leads to frustration and overtiredness. Stress develops and it negatively affects mental, physical and psychological state of the body. The tiredness reduces desire to sleep and do anything else hence making the body react. Eczema: This is a skin condition characterized by itching and inflammation of the skin. Chronic cases are closely related to other conditions such as asthma and hay fever. The irritation can extend to the area below the eyes causing dark circles. The cause is not known though studies shows that skin sensitivity to products such as soap and hereditary factors can contribute. Contact dermatitis: This is a skin condition that stimulates skin irritation, inflammation and allergy especially when in contact with any material. Use of skin care products such as soaps, cosmetics, jewelry and fragrances can causes contact dermatitis. Hereditary: Dark circles under eye can be a genetic factor inherent from one family to the other. Uneven pigmentation can be transferred from one parents to the offspring of the affected family. Rubbing of the eyes: This can be after or during crying, watching television for a long period of time or due to any allergic reaction that can cause eyes irritation. Sun Burn: Too much exposure to the sun can lead to production of more pigmentation substance known as melanin that can be seen darkening below the eyes area. More Salt food: When you each food with too much salt, can cause water to move at areas around your eyes to the more salt concentration regions by the principle of osmosis hence making your eyes puffy and dark at the lower areas. Pregnancy: There are some women whose skin pigmentation gets affected due to pregnancy. This is due to hormonal imbalances that can also affect the skin around the eyes. Insomnia: Lack of enough sleep can lead to itchy and irritating eyes. This is due to tension and stress that gets created around the eyes due to sleep. Poor Blood Circulation. Many activities can cause poor blood circulation in the body. This includes poor sleeping posture and perhaps some medical conditions. Poor nutrition: Lack of relevant vitamins and mineral elements can be among what causes dark circles under eyes. Such vitamins include K, A, C and Iron. Allergies: Swelling and inflammation of tissues and blood vessels can take place due to the release of the substance histamine in the body that is triggered by most of allergic reactions. 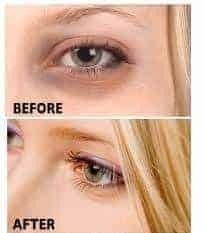 You can fix dark circles under eyes using the same ways of reducing and treating puffy eyes and dark bugs under your eyes. 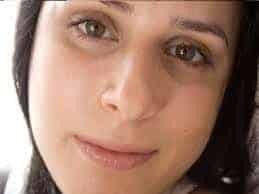 As long the dark circles are not caused by serious medical conditions the following ways will help the symptoms subside within few days of treatment. If they persist, you can seek further medical advice. Check on your diet: There are food substances that can easily cause puffy swelling eyes. Minimize on intake of high salt and alcoholic drinks. They contribute to high osmotic potential in the body that is reflected by dark under eye circles. Instead concentrate on food substances rich in vitamin C, K E and Iron. If the dark circles are due to blood circulation problem, pick up on exercises and improve on your sleeping habits such as posture and duration. Also you should avoid blood from building up in the eyes by sleeping on the correct pillow. Embark on a nutritional diet: Regularly use Flavonol-rich dark chocolate plus food rich in omega-3 fatty acids. They are vital in enhancing blood flow and circulation. If the dark circles under eye are due to allergies, consider using antihistamine drugs which are available over the counter in many pharmaceutical shops and centers. Apply sunscreen since dark pigmentation can be due to sun, rain and even cold. SPF 30 is a good product to use but avoid direct contact with the eyes. Apply your makeup or concealer correctly using the ring finger. This is because, ring finger is weak and gentle for application without risking too much friction. A neti pot can be used when there are extreme cases of cold and allergies. The product helps in reducing fluids that accumulates around the eyes in causing puffy eyes, bags under eyes and dark circles. Avoid rubbing your eyes when you feel any small irritation. You should not watch TV more than enough and remember to go to bed on time to avoid pilling up of sleep in your eyes. Remove your makeup before you sleep. It can cause your skin around the eyes to get irritated. remove the concealer and the mascara then clean and apply retinoid cream before you sleep. An eye cream that has caffeine is the best in removal of dark circles. Caffeine helps in to constrict vessels. Example of such cream is the Lancôme Rénergie Microlift R.A.R.E. Intense Repositioning Eye Lifter that goes at $72 when you look at lancome-usa.com. Alternatively you can go for Arnica-based creams which are available over the counter in many health-food stores. 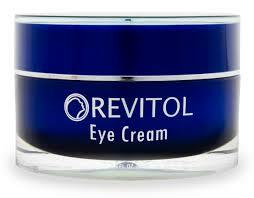 Such type of cream has an anti-inflammatory capacity that aids in reduction of under eye darkness. Another best under eye cream for dark circles is the one with green tea or grape seed oil since it has a unique property of strengthening capillary walls. A good example is Replenix Intensive Eye Lightening Serum, which goes for $59. As discussed, dark under eye circles can be caused by thin skin related to aging. For this case, the best under eye cream for dark circles that help you on how to get rid of dark circles under eyes faster or overnight is the collagen-building cream. Retinol is the ingredient to look for when you are searching for this cream since it is the essential element for the production of collagen. The best examples of such cream is the ROC Multi-Correxion Eye Treatment for $25 at drugstores. Alternatively you can try Renée Rouleau Vitamin C Eye Serum, $42.50 at reneerouleau.com which has vitamin C that enhances the production of collagen besides brightening and smoothening your skin tone. There are several ways on how to get rid of dark circles under eyes and among them is the use of relevant cream. We have mentioned a few above in the discussion but here are other creams you can try in the removal of those dark under eye circles. Application of cool tea bags. Brew a cup of tea but do not throw away the tea bags you have just used. Place them in a refrigerator and allow them to cool. Having taken your cup of tea, pick your cool tea bags and lay down while facing upwards. Place the tea bags at your closed eyes and relax. The skin around your eyes will be relieved besides preventing are removing discoloration and swelling as well. Using a frozen spoon: Before you get to bed in the night, take two metallic spoons and dip them in a glass of water then place them in a refrigerator or freezer. When you wake up in the morning, take your frozen spoons and lay down as you place them against your eyes with the convex sides touching your skin around the eyes. The cold will remove the puffiness and make your skin to relax in ready for the makeup. 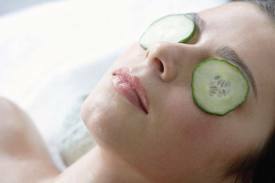 Place cold cucumber slices at your closed eyes for about 15 minutes while laying down as you face up. Alternatively you can use cold potato slices or frozen peas that are well wrapped in a piece of towel. Apply crushed mint leaves, or almond oil. Alternatively you can apply rose water using a soaked in cotton ball for the same effect. Take enough amount of water to avoid hydration. You should avoid taking foods with too much salt. Therefore, follow the above discussed principles on how to get rid of dark circles under eyes perfectly and your puffy ayes will get cured within the shortest time possible. Prevention id better that cure, do not wait until you reach a serious treatment level but try to prevent in advance. For quick results, apply your best under eye cream for dark circles and give it few minutes to dry. Pat on a creamy concealer that perfectly match your skin tone. Finally, top with a layer of loose powder. This is recommended in preventing your makeup from caking into those creases on your skin around the eyes. You may also be interested in looking at the best skin lightening cream, skin whitening pills and the most effective skin lightening soap for all skin types and for African American black people. Yes i tried it for 2 months and got rid of puffiness and darkness.great!! How can i get the DermalMD under eye treatment serum? Really informative article, i really wanted to know the best solutions for dark circle under eyes. i will try these remedies and see how effective they are. anyways thanks for publishing. I tried dermalmd to get rid of eye bags.its wonderful.thx to suggest it. Great info! Here I found some great tips to treat dark circles. Dark circles are common eye problems today. Eye cream is very helpful and affordable to get rid of these problems. Thanks for sharing. Doctors recommend me to use dermalmd.I had hesitate intially.But after starting using it i am happy to continue it.it works.